Have you broken a bone in a car accident, motorcycle accident, pedestrian accident or truck accident? If so, you have a permanent injury which demands a significant level of compensation from the at fault party. It is important that you hire a Louisville broken bone injury attorney, who understands the significance of your injury. 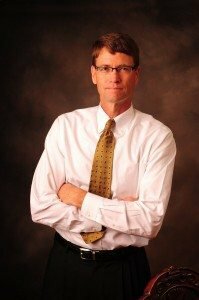 Matt Troutman of the Troutman law office has been a Louisville broken bone injury attorney since 1986. Mr. Troutman has prosecuted many broken bone claims and he will handle your claim personally from start to finish. Although determining the value of any personal injury claim due to a motor vehicle accident is difficult and not an exact science, Mr. Troutman can give you the benefit of his many years of experience to help you determine a reasonable value for the nature of your injury. It is important that medical documentation is obtaining substantiating the permanency of your injury and the likelihood of future complications or symptoms. Not only can Mr. Troutman help you determine the value of your claim, he can also find all available insurance that may exist to satisfy this claim. Mr. Troutman will meet with you personally at your home or other location that is convenient to you. He will be your central contact throughout your claim and if litigation is necessary he will be the lawyer by your side. Contact the Louisville broken bone injury attorney Matt Troutman for your FREE consultation! If you have sustained a broken bone injury due to the negligence of another, you have legal rights and Mr. Troutman is a Louisville broken bone injury attorney that can help you recover compensation for your losses. In order to contact Mr. Troutman, you can complete the free case evaluation form on this page or you can call him directly. Call today and win against the insurance companies.